Ever reliable 2005 Boards Member catz, is sharing with us some tidbits from Hasbro Transformers toylines for 2019. Most of the info clearly match with the stuff we heard from Toy Fair 2018 and from various other confirmed rumors. The upcoming Generations line War For Cybertron will carry the code WFC. Size Classes: Leader, Voyager, Deluxe, Micromaster, Battlemaster. Two main size classes will carry Micromasters/Battlemasters. Blindbox figures will also be available. Bumblebee Movie toyline will continue into 2019 under the same product code MV6. 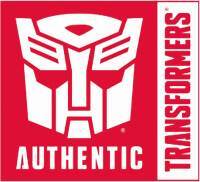 The line will consist of gimmick toys such as Tiny Turbo Changers, Energon Igniters, Masks and Titan Changers. Energon Igniters will be the main [gimmick] line for the movie. Studio Series will continue in 2019 as well. The 2019 line will consist of 2+ Leaders, 2+ Voyagers, 5+ Deluxes. May or may not be repaints/retools. Movie Masterpiece series is another line that will continue in 2019. 1 figure from Transformers 2007 (TF1). 1 figure from Transformers: Revenge Of The Fallen (TF2).